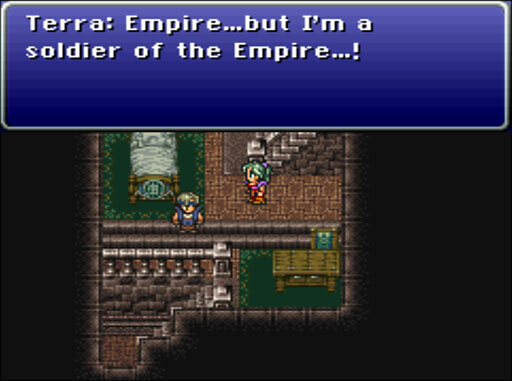 Terra still doesn’t know why they’re helping her. It’s interesting that she still identifies herself as a soldier of the Empire. I guess Edgar did, too. She’s been freed of mind control, but hasn’t figured out what else to think.